My parents in Tecoman, Mexico. New Year’s Day is almost here! Do you have your black-eyed pea ingredients ready? Here is my husband’s recipe for black-eyed peas- South Texas style. My husband prepares black eyed peas the same way he makes frijoles a la charra or pinto beans. and bring them to a boil. Boil for a few minutes. Let the peas ‘sit’ a few minutes. Drain off the water, rinse, and add fresh water. Add the sauteed onion, bacon, and garlic . Season your peas in the same way you would season pinto beans. My husband adds a sprinkle of chili powder. Return to a boil. Lower the heat and let the peas cook until done. Once tender, add chopped cilantro, stir, and serve. Serve with cornbread slathered in butter. Do you ever slather your cornbread? I just couldn’t do it. Scourge of the Stink Bug. let’s talk about blogging and our biggest deterrent. Is there anything that stops you from blogging? In my case, it’s life of course, but technically it’s the photography. My intentions are good, I take lots of photos , but blurriness, low light, and other issues I don’t know how to correct stop the process. I have been tempted to buy a fully automatic point and shoot camera. I never know if my photos will work. Does anything deter you from blogging? Here is my seasonal confession. 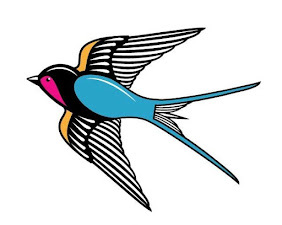 for everyone I love, I see wonderful things….. for me……. This ranks right up there with this tale. It is as if everything I didn’t know I wanted but now must have but shouldn’t (???) is right in front of me. Here are some things that have made my short list. which reminds me of a spicy, modern version of Estee Lauder’s Youth Dew which reminds me of my mother (win-win). *Bobbi Brown Desert Plum lipstick- the perfect reddish plummy color. Here is what I think about lipstick color for women of a certain age: go for it- which is actually what I think about everything for women of a certain age. 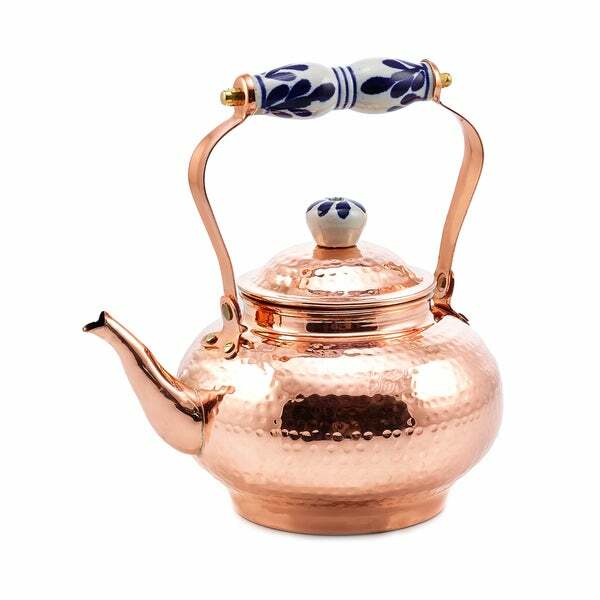 * A Copper Tea Kettle- I don’t drink hot tea, but I just know I would if I had this tea kettle. Especially since my kitchen is currently full of this. And lastly, while in Kingsville at the Saddle Shop recently, I really stood and stared at this. I am still on a quest to find New York Giant NFL football gloves USA style, youth size medium, for a grandson who knows exactly what he wants. Merry Last Minute Christmas Shopping! Want my posts delivered directly to your inbox? Just enter your e-mail address. I have never met a Christmas decoration I didn’t love. I have the crates to prove it. But the mainstay of everything Christmas I have loved the longest is red- beautiful Christmas red. and in the living room. I know it’s old school and traditional , but that makes me love it even more. Red wears its age well year after year, and Christmas red is never dull. It never disappoints, and it has the ‘umph’ to hold its own next to whatever is nearby. Christmas in Texas Blog Hop. 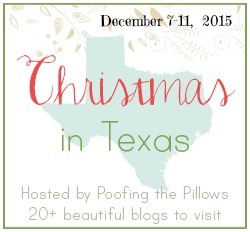 Visit these wonderful Texas bloggers and thank you so much for stopping by! 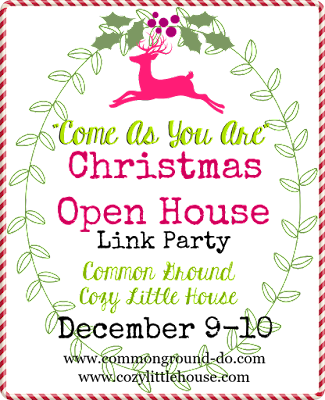 Just click on the button above to visit Debra and Brenda’s Open House! Young) said the smartest thing about hosting holiday parties and what to serve. That’s it sweet girls. That’s the secret. All you need to know is where to find things. * Find the best chocolate cake at a bakery you can find. The one pictured above is from Esperanza Bakery in Alamo. pedestal from Casa Guero in Laredo. Add fresh strawberries and you are done. *Find the best tamales in town. In our case that would be Delia’s. Serve their salsitas in a pretty crystal dish. Make your own chile con queso. *Buy a spiral sliced ham . Serve the ham from the table with Sister Schubert rolls. Buy small specialty mustards or jams at TJ Maxx or Marshall’s. Your guests can make their own small ham sandwiches. I will be bringing every single one of these items to El Paso for Christmas. 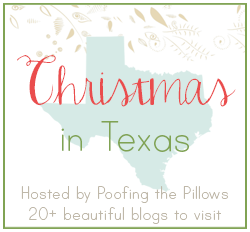 The Christmas in Texas Blog Hop Continues! Just click on the button below to follow along. Stacey is posting wonderful updates each day! God Is In My Glitter. It still holds true for me today- in a way that I hope is also meaningful to you. Here is the 2015 version. Three trees, one tree, half a tree, no tree- it matters not. Decorating the house for Christmas has always been rewarding to me. It is about who I am because of what I enjoy creating for the people I love . It is not an either or proposition. a Martha in a Mary’s world. He knows my poinsettias are red and gold and sometimes pink. For you see, I understand Martha’s need to fix and arrange and prepare and beautify. “Hey Martha, I understand why you think you need to be in the kitchen- I get it. Here is what works for me though- when the party is over and your gift of hospitality has weakened your spirit. Jesus likes to sit on the couch with us and prop his feet up too. Those are the best conversations. He really does get what drives us. He rolls his eyes and says you are tired, let it go. I know the world thinks God is not in the glitter, but HE is in mine. Linking to Something to Talk About at The Crowned Goat. Some wonderful Texas bloggers have posted today about their glitter. Hyacinths for the Soul . If we were having coffee , I would bring up my system for decorating for Christmas. And then I would laugh ! I guess you could call it that, if system means repeating the same routine year after year. *I walk out to the garage where all of the Christmas crates are stored and I sigh…heavily. *I then walk back into the house a la Scarlett O’Hara muttering ‘I’ll think about this tomorrow’. *Then when inspiration hits , I return to the garage with various helpers (two gentlemen from Chapa’s Moving and/or my husband). I prefer Chapa’s Moving and so does my husband! *Once the crates are inside the house, I start opening them realizing that I didn’t do a Pinterest worthy job of storing them after Christmas last year. *And finally , a wonderful thing happens. *All of my years of Christmas collecting smile back at me from their crates and the fun begins! I’ll be posting on December 10th. Welcome! White Spray Paint is all about enjoying the simple things in life. Whether I am writing about my adventures at the flea market, or writing my Dear Daughters' posts, or sharing a new Ranch Recipe, or tackling a new gardening project, I am usually laughing along the way and enjoying the journey. 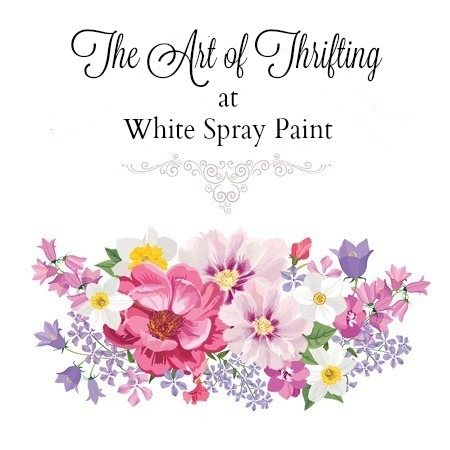 Why the name White Spray Paint? Because my mother taught me years ago in home decor, 'when all else fails Laura Ellen, spray paint it white'. It is a description of those simple pleasures that you will find here. Won't you join me? I hope so! A FEW THINGS... IT'S BEEN A WHILE!